Stojan's Power Sports & Marine Ltd. 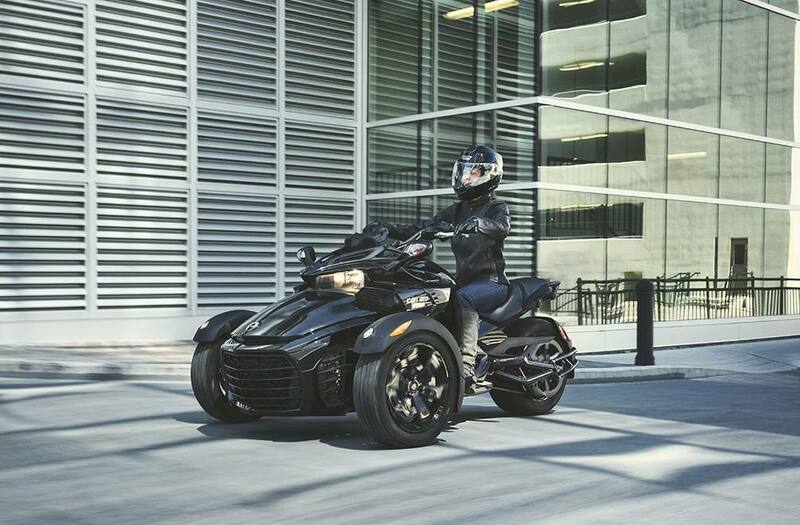 The Spyder F3 is a great starting point for your open road adventure, with its outstanding engine, cruising riding position and head-turning style. 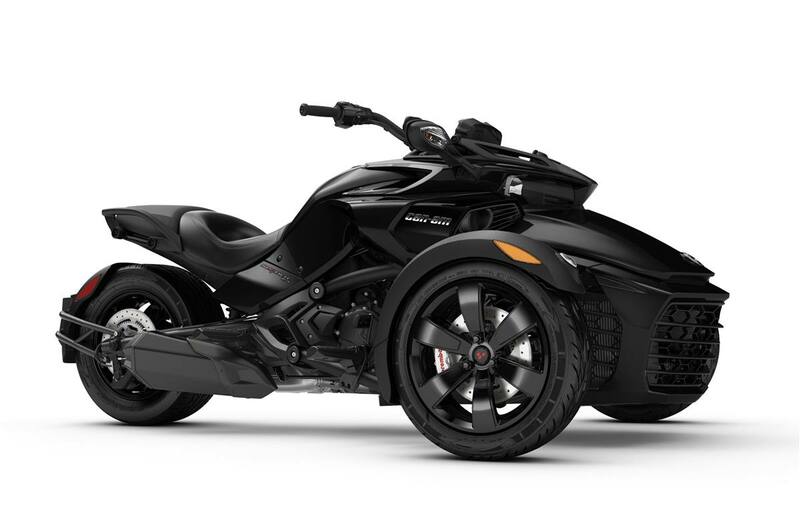 Get a select 2018 Can-Am Spyder starting at *$79/week including a $3,000 rebate + 3-year coverage OR Get up to a $4,500 rebate† + 3-year coverage†† on select 2018 models ©2019 Bombardier Recreational Products Inc. (BRP). All rights reserved. ®, ™ and the BRP logo are trademarks of BRP or its affiliates. Offers valid in Canada only from February 1, 2019 to April 30, 2019. The terms and conditions may vary depending on your province and these offers are subject to termination or change at any time without notice. See an authorized BRP dealer for details. The payment of the purchase will incur interest at the annual interest rate of 4.99% and will be payable with 312 equal and consecutive weekly payments of capital and interest. 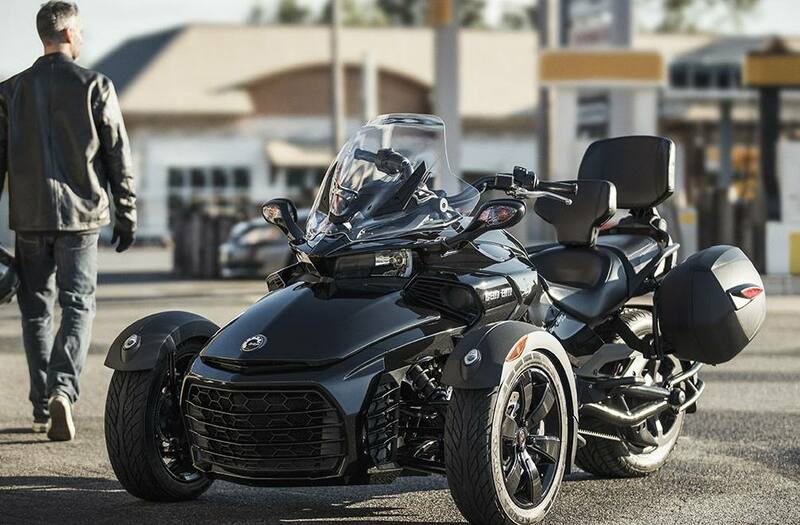 For example a 2018 Can-Am Spyder F3-S (SE6) model, if a financing is authorized for an amount of $19 360 with an annual interest rate of 4.99% and no other credit charges applicable, the Total obligation of the consumer will be $22 442.52 and will be payable with equal and consecutive weekly payments of $71.83 over a 72 month period, including a Down Payment of $3 534 and a BRP rebate of $3 000. The Total credit charges for the whole term of the contract are $3 036.84. For Quebec residents, weekly payments of $79 including MSRP of $25 799 + Freight & PDI of $1 060. GST & QST not included. For full and accurate vehicle availability and a detailed quote, please contact an authorized BRP dealer. Subject to Fédération des caisses Desjardins du Québec (“Federation”) approval. All other conditions and restrictions apply. BRP cannot be responsible of any financing authorized by the Federation during this promotion. See your BRP dealer for more details." † Get up to a $4,500 rebate on select 2018 models : Eligible units are select new, unused and in stock 2018 Can-Am Spyder models purchased from a participating BRP dealer. The buyer of an eligible model will receive up to $4,500 rebate. Conditions apply. Rebate amount depends on the model purchased. All models may not be available at all dealers. See your local BRP participating dealer for details. While quantities last. 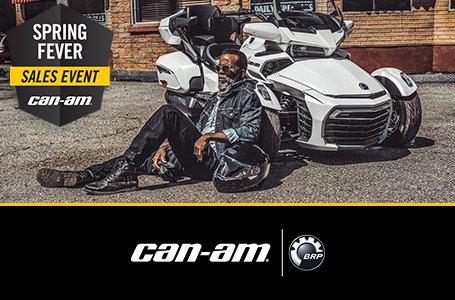 †† GET 3-YEAR COVERAGE WITH FREE ROADSIDE ASSISTANCE: Eligible units are select new, unused and in stock 2018 Can-Am Spyder models. The buyer of an eligible unit will receive the 24-month BRP Limited Warranty plus 12-month B.E.S.T. coverage. The buyer of eligible units will also receive 36 months of FREE Roadside Assistance. B.E.S.T. service contract is subject to a $50 deductible on each repair. For complete details, please see the BRP limited warranty and the B.E.S.T. contract at an authorised BRP dealer near you. Some models depicted may include optional equipment. Follow all instructional and safety materials. Always observe applicable local laws and regulations. Always wear a helmet, eye protection and appropriate protective clothing. Always ride responsibly and safely. Always remember that riding and alcohol/drugs don’t mix.